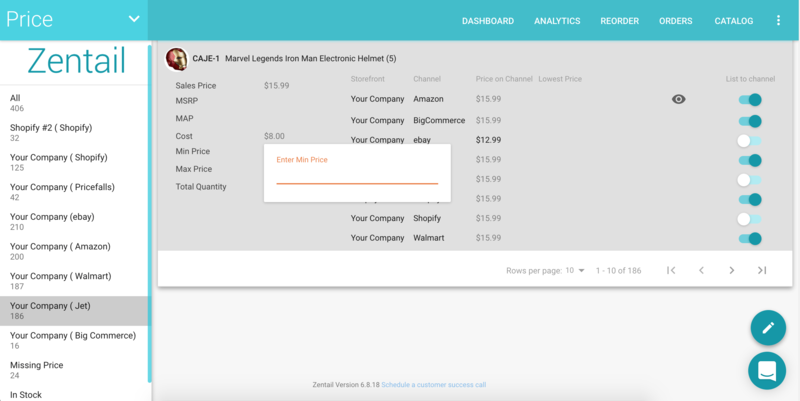 This article shows you how to add in a Minimum and Maximum Prices to activate Zentail's repricers. If you would like to use the Zentail Amazon or Walmart Repricer then you will need to add in a minimum and maximum price for all SKUs that need to be re-priced. Hover over the cell next to "Min Price" and "Max Price"
Scroll down and click "start generating report"
You will see a template, with the columns created above. Go to the custom reports template page, select the report and choose "Upload CSV file". Upload the CSV file and click next step.